Next team meeting will be our Washington, D.C. trip on May 18-20! Beth Bare has worked for the Carter County School system for the past 7 years and currently serves as the coordinator of school health. She is married and has two children. Beth is a native of Carter County. Carl Brickey is originally from southern Virginia and is currently employed by the Carter County Chamber of Commerce and serves as the Tourism Coordinator. He has been in this position for less than a year. Carl is married and has one son. Nathan Dugger is employed by East Tennessee State University and is currently serving in the position of Coordinator of Special Projects. Nathan is an avid outdoorsman and has hiked 3/4ths of the the Appalachian Trail. He is also active in his local church and is a native of Carter County. Mel Goff is employed by the City of Elizabethton and serves as the director of the Elizabethton Public Library. Mel is a published author and has worked for the city for four years. Mel is married and is the mother of four children. 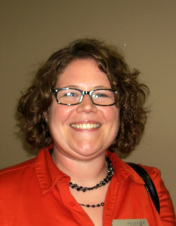 Heather Jackson is employed by Milligan College and currently serves as the Director of Student Success and Disability Services. Heather has served in this capacity for the past two years. She has been married for 29 years and is an avid dog lover. 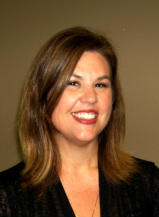 Jenny Jones is the Assistant Vice President over the call center at Citizens Bank. She has been with Citizens bank for 15 years. Jenny is a native of Johnson County. She is married and is mother to an 11 year old son. Ron Kirby is a native of Carter County and is currently employed by Carter County Tomorrow as the supervisor over maintenance. Ron has been with the CCT team for 6 years. He is married and has a daughter. Ron is a veteran and served in the U.S. Air Force. Karma Morgan is the Assistant Manager of Carter County Bank and works out of the Roan Mountain Branch. 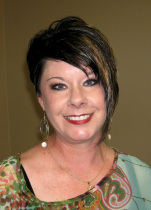 She has been with Carter County Bank for 19 years and is a native of Roan Mountain, Karma is married and has two children. Angelee Murray is the Executive Director and Founder of Red Legacy Recovery which is a non-profit multifaceted program which assist many local residents. Angelee is a native of Carter County and after living in Charlotte, NC for 15 years, moved back to the area which she now calls home. Angie Odom Is the Founder and Director of TLC Community Center, a local non-profit organization which is centered around assisting children and building hope in the lives of local residents. She is married and is the mother of three. Angie is a veteran and served in the United States Navy. She is a native of Carter County. Derrick Storie is a Carter County native and is employed by Snap-on Tools in Elizabethton. He has been with the company for 8 years and works as a Buyer/Planner. Derrick is a homeowner in the beautiful historical district of Elizabethton. He is married and is the father of two. Sam Willis is an employee of Sycamore Shoals Hospital and serves as the Site Manager Engineer. Sam has been with SSH for 13 years. He is a native of Carter County and is married and the father of one. Kris Yarlett recently moved to the area and although he is a Tennessee native he has lived in several different areas of the U.S. including Texas, Colorado, and Arkansas. He also served in Afghanistan as part of the U.S. Air Force where he was a maintenance officer on a C-130. Kris is currently a Financial Adviser for Edward Jones Investments and Services.